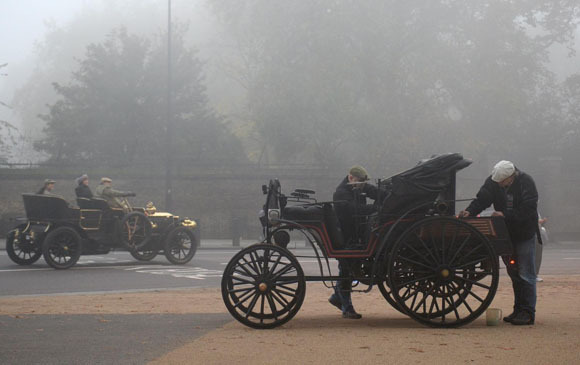 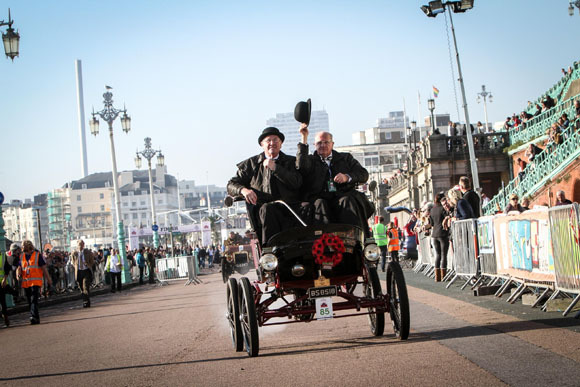 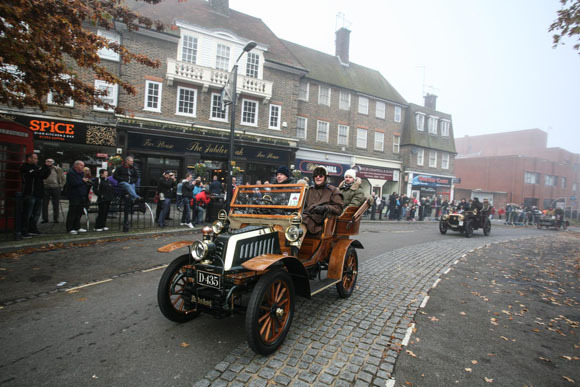 More than 380 pioneering veteran cars dating back to the dawn of motoring enjoyed unseasonably mild conditions to take part in this year’s Bonhams London to Brighton Veteran Car Run. 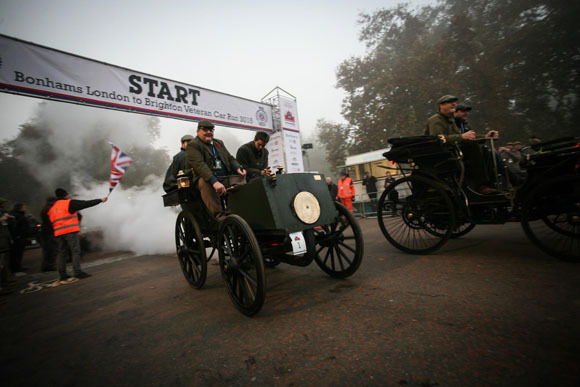 As tradition dictates, the 119th Anniversary Run set out from Hyde Park at day break and headed 60-miles south through a misty London and onto a sunny Sussex seafront. 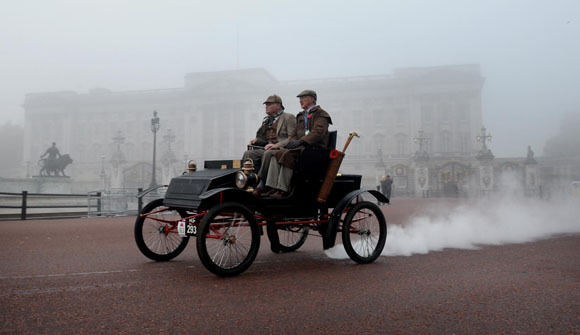 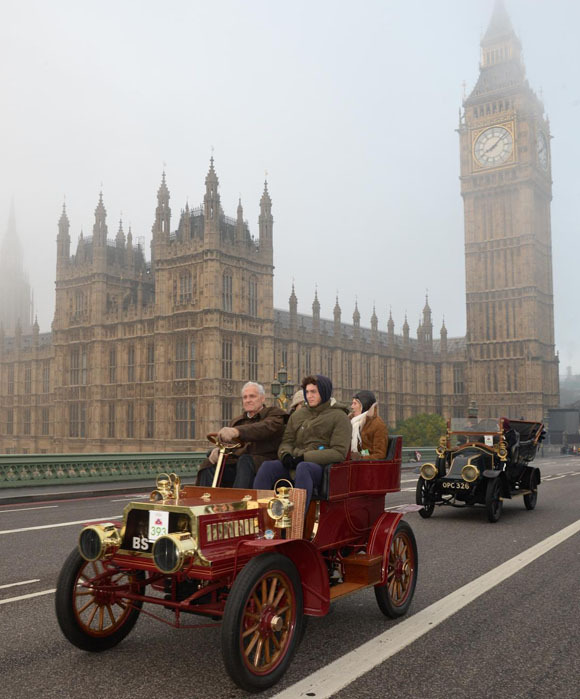 For only the third time in more than half a century, this year’s route took the intrepid participants – all driving pioneering cars from the pre-1905 era ­– past Buckingham Palace and down The Mall before heading past Big Ben and over Westminster Bridge. 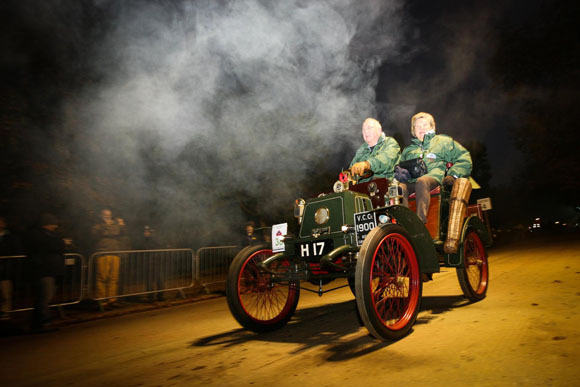 Among the others turning back the clock were Pink Floyd drummer Nick Mason, renowned Formula 1 team principal Ross Brawn and multiple Le Mans winner Jochen Mass. 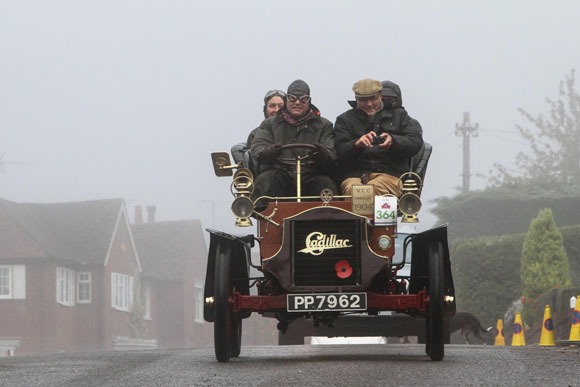 They were joined en route to Brighton by three classic coaches driven by BBC Radio broadcasters Chris Evans, Alex Jones and Ken Bruce raising nearly £350,000 for BBC Children in Need thanks to the generosity of their 40 passengers. 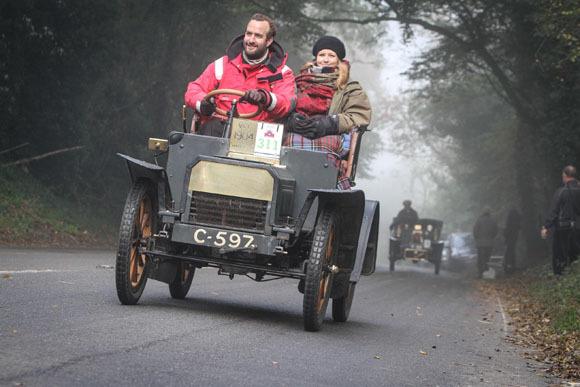 Before the start Evans, Jones and Bruce were joined by Natalie Lowe from Strictly Come Dancing and Robert Brooks, Chairman of Bonhams, for the ceremonial tearing up of the red flag. 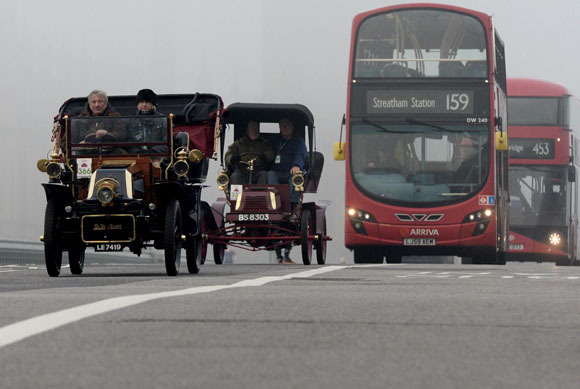 The symbolic ritual harks back to the original Emancipation Run, held on 14 November 1896, which marked the milestone Locomotives on the Highway Act and raised the speed limit for ‘light locomotives’ from 4 to 14mph abolishing the need for a man walking ahead of the cars waving a red flag. 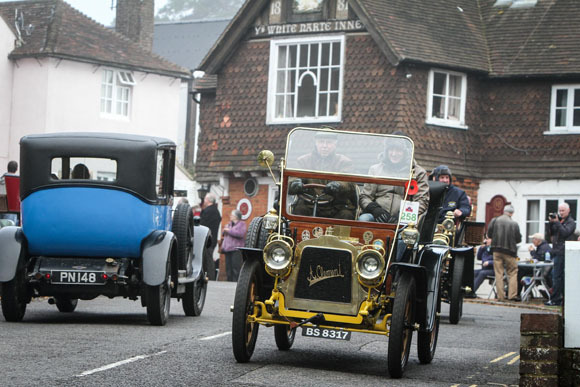 Other entries included Genevieve from the 1953 comedy film of the same name, a large number of cars from the US celebrating this year’s American theme and significantly the 1901 Isotta Fraschini – chassis number one – the very first car to wear the famous ‘IF’ badge which was making its VCR debut this year. 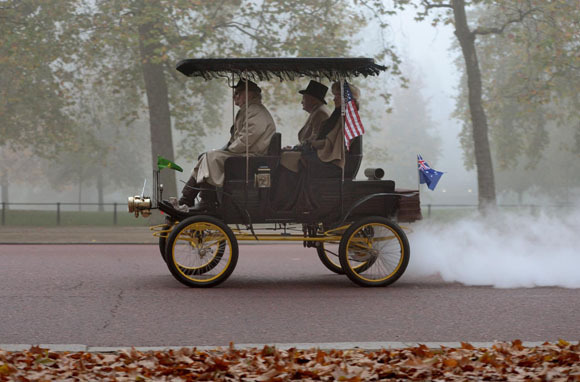 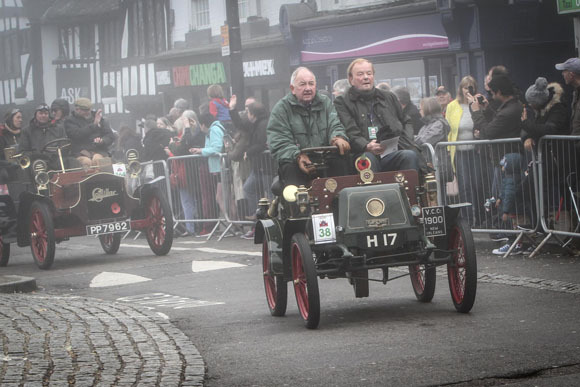 Another impressive finisher was the steam-powered 1888 Truchutet (top) driven by Daniel Ward – the oldest car on the run – believed to be one of the earliest vehicles to have ever completed the event. 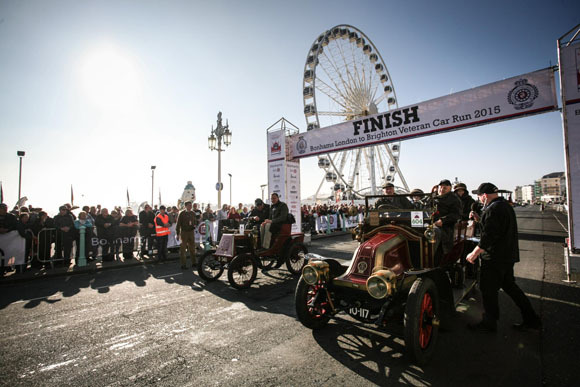 In total 342 of the starters managed to complete journey from Hyde Park to the Sussex coast before the 4.30pm deadline, thus receiving a coveted finisher medal.